The registration fee includes conference technical materials*, all scheduled meals and social events outlined in the meeting agenda (*delegate registration only). The registration fee before 1st May 2018 is 300 USD per (airline, or academic) delegate, 600 USD per industry delegate, and 900 USD per vendor delegate. Registrations received on or after 1st May 2018 will be considered late and will incur an additional 100 USD late fee, with no exceptions. Any cancellation requests before 1st May 2018 will be subject to a 100 USD service fee per person, after this date the cancellation fee will be 150 USD per person to cover the incurred expenses. 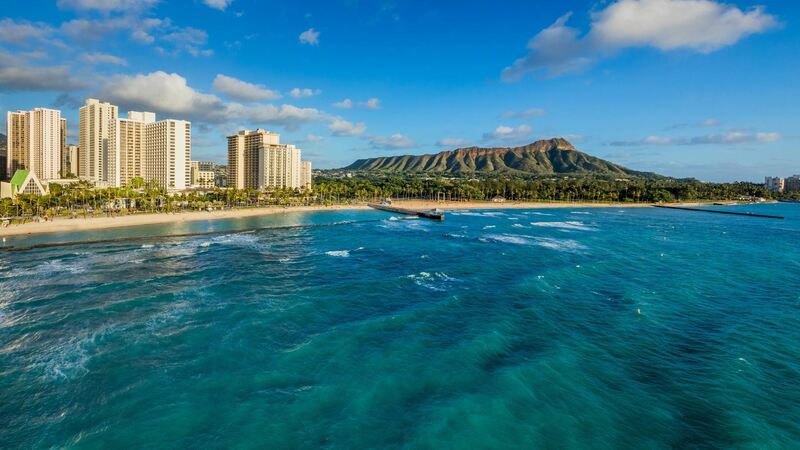 Discover a true resort hotel with unrivaled service, luxurious amenities and sweeping views of the Pacific Ocean at Waikiki Beach Marriott Resort & Spa, located next to Diamond Head Crater. A limited number of our discounted rooms are still available at the Marriott Waikiki Beach Resort for the conference from 5/18 through 5/24. The hotel is sold out from 5/25 onwards. Reservations must be made via our dedicated website by 15 April 2018 to receive the specially negotiated rate of 160 USD for single/double occupancy (inclusive wifi access, exclusive of service fees and taxes). Hotel room rates are subject to applicable hotel tax (currently 14.962%) in effect at the time of check in. Hawaii state excise tax is currently at 4.712%. Occupancy Tax is currently 10.25%. Resort room rates are subject to a resort fee, 15 USD (vs 37 USD) per room per night, plus applicable state and local taxes) in effect at the time of check in. This charge is for High-Speed In-room Internet Access, Daily Fitness Classes, Daily Cultural Classes, and (1) Introductory Scuba Diving or Snorkeling Lesson. Join us at the Marriott Waikiki Beach Resort where you can gather to relax, network with other conference delegates. Enjoy views of the surrounding area while savoring a sumptuous selection of international treats and drinks. It will be an ideal time to re-kindle old friendships, and meet and great arriving conference delegates before the official start of the technical program, and vendor exhibition. Experience a wonderful evening on the Pualeilani Terrace, conveniently located at the Marriott Waikiki Beach Resort. Enjoy an award winning dining experience in the comfort of the conference hotel. Relax and unwind with fellow delegates in preparation for the second day of the technical program. Enjoy this exciting excursion to the award winning Chief’s Luau where we will join Chief Sielu Avea and his ohana (family) for an amazing evening of Polynesian culture and fun. You will have an opportunity to immerse yourself in the rich heritage of the Islands. Sip a Mai Tai cocktail and sink your teeth into a lavish Hawaiian feast, a sumptuous blend of traditional luau foods blended with Hawaiian regional cuisine. And finally, enjoy a thrilling Polynesian show.